Hiba has been an advisor for students in Model United Nations and Model Arab League programs organised by the Lebanese American University since 2011. She says the experience has helped her develop her students’ communication and leadership skills. Today, she’s not the only advisor from Saint George Schools; many of her former students who were MUNers or MALers are now advisors as well. In June 2016, she took the step of becoming a member of Life-Link Friendship Schools. The role involved encouraging her students to become involved in international conferences and getting engaged more in worldwide issues to increase their sense of global citizenship. At that time, they had to represent their school in a climate change conference that took place in Sigtuna, Sweden. That conference brought together students from Switzerland, Russia, England, Iran and Egypt, among others. Hiba’s students were the only representatives from Lebanon. Their experience in the MUN in Lebanon had made it easy for her students to conduct research and mingle with the other delegates to come up with resolutions. 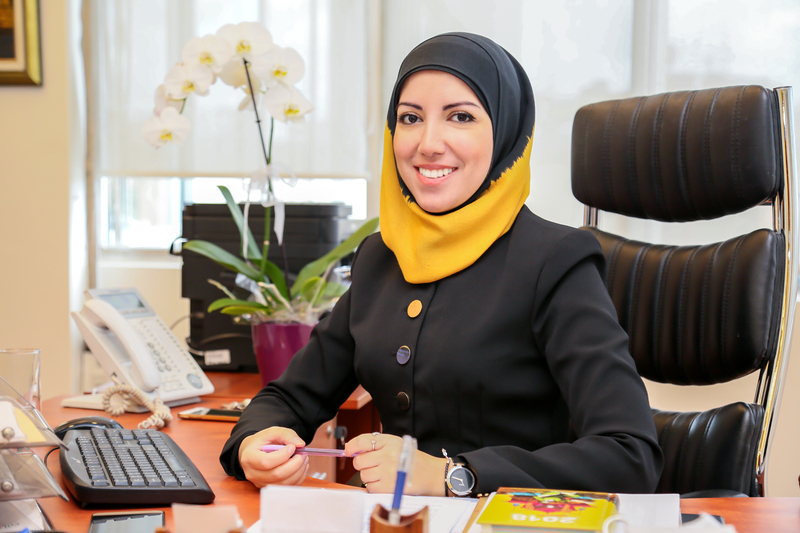 In her science teaching, specifically biology, Hiba has always pursued innovative and creative approaches to make learning fun. In one module on hormones, together with her students, she created a game called “Endocrinopoly”. They based it on the famous “Monopoly” game but edited it to fit the subject they were exploring. In September 2017, she won Lebanon’s “Best Teacher” prize, organized by the Arab Network for Popular Education in cooperation with the Ministry of Education and the Varkey Foundation.